Criminal cases need a particularly careful analysis of evidence because of the important decisions that the court needs to make. The King County prosecutor’s office called about a murder case with a suspect in custody. We were asked to investigate a personal computer which was obtained by a search warrant and a work computer which was voluntarily surrendered to us. Evidence on the computers was discovered and presented in testimony at trial. 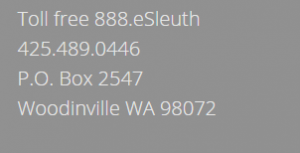 During our investigation we found that unique browser activity on both the home and work computer were related. This made it unlikely that the killer’s coworkers or his wife had individually generated evidence on the PCs used by the suspect. 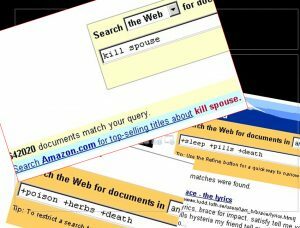 A critical link between the suspect and the body was found on one computer as well as other relevant material related to Internet searches that were performed before the murder. When the suspect decided to testify in his own defense we checked his story with the contents of the computer he used. One tale about being kidnapped had been rehearsed with a girlfriend shortly be for his wife’s violent death. Other details conflicted with known items extracted from the case timeline. Despite the suspect’s technical knowledge (he ran a computer network for the county) he was quickly judged to be guilty… in part because of the evidence on his computers. Watch for this case in a Forensic Files episode “Internal affair”.